-Fill out the *Puppy Application*. We will contact you as soon as possible with approval. -After approval, pay the $300 deposit (it is included in the total fee). At that time, we will inform you where you are on the reservation list. This deposit is non-refundable unless we are unable to match you with a puppy, usually only the case when there aren’t enough puppies in the litter. -Once the puppies are one week old we will contact you and an additional $700 is due toward the placement fee of your puppy. You can watch your puppy grow via our blog, Instagram and Facebook page. -At 7 weeks of age, your remaining balance of $1,600 (plus shipping) is due in order for us to make homecoming arrangements. -Your puppy will be ready to go home at 8 weeks of age. 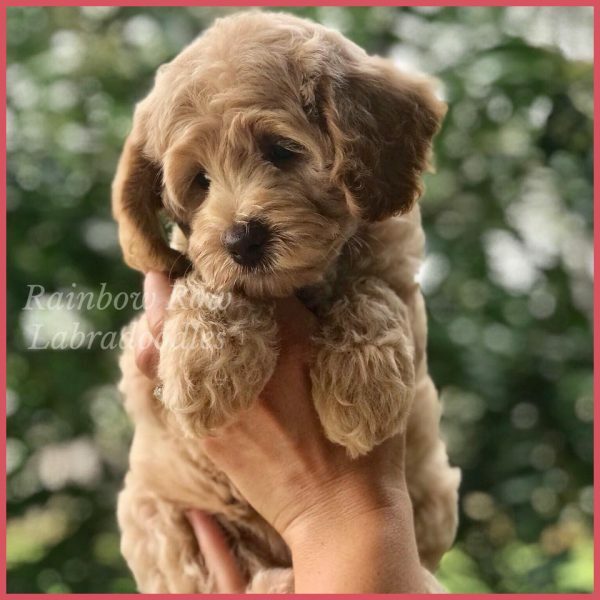 Puppies will be microchipped, have age appropriate vaccinations, de-wormed, current on flea/heartworm medications, health certificate from our veterinarian, 2-year health guarantee, and come with a puppy kit. *If you do not live within driving distance and wish to fly your puppy to you, we can purchase him/her an airplane ticket. Costs will vary depending on airfare at the time. Your puppy will still arrive with a puppy kit, water bowl (needed for the plane ride), and an airline approved shipping crate. This fee will also be due at 7 weeks of age. The deposit can be added to your cart if you click on “add to cart” at the bottom of the page. Then click on the cart in the upper right corner to pay. Please only pay AFTER you have submitted your puppy application and received approval. Local families, please check out our guardian program! This program allows us breeders to place our breeding dogs, usually as puppies, in their permanent, loving, forever homes. We do not believe puppies/dogs should be placed in a kennel style environment and wish to give them the best life possible. We can only house so many in our personal home as pets and once retired they remain with us, so we have started this program to give any future breeding dogs the same loving care. Guardian homes act as “foster homes” until the terms of the agreement are satisfied and then full ownership will be transferred to the guardian. There are many benefits to the family by becoming a guardian home! Please click here to learn more. -Certificate for a one month free trial of Trupanion pet insurance.